Many users don't like to use templates because it takes too many steps to get to the template: in Outlook 2010 and up, New Items > More Items > Choose Form and browse the User Templates in File System; or in older version Tools > Forms > Choose Forms, look in User Templates in File System. 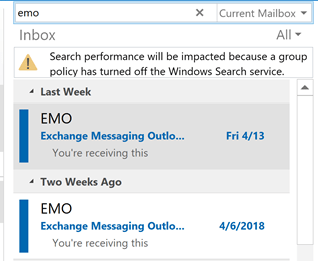 Fortunately, you can store the templates in Outlook so the templates are always handy and always with you (when you use Exchange or copy the pst). If you store custom templates in Outlook folders you'll have easy access to the template and won't need to browse to the Choose Form menu looking for the template. Create the message. in Outlook 2003 and older you need to use the Outlook editor or choose Actions, New message using Outlook in order to save as a template. When you are ready to save it, use File, Save as and select Template (*.oft). This will default to the template location, usually a folder deep in your file system (in Windows 7/8 and Vista, templates are stored at C:\Users\user\AppData\Roaming\Microsoft\Templates\). Change this to My Documents or another location that is easy to get to. 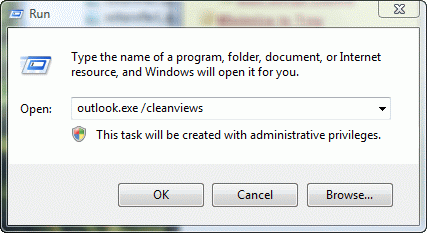 Open Windows Explorer and locate the template then drag n' drop it in a folder in Outlook. You can drop it in Drafts or create a Template folder. I like to use one called .Template; the leading dot puts it at the top of my folder list so I can find it quickly. Create a Mail and Post type folder called Templates to store your templates in. You can store templates for all Outlook item types in this folder. 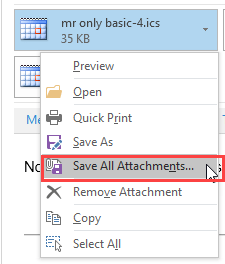 Another option is publishing forms to any folder in Outlook. When you do this, the form is listed on the New Items > Custom Forms menu (Outlook 2010/2013) or the Actions menu (older versions) when you are viewing that folder. To use this method with Outlook 2010 or 2013, show the Developer ribbon (File, Options, Customize ribbon) and choose Publish > Publish Form when you are ready to publish it. In Outlook 2007 and older, go to Tools, Forms, Publish this form as and select a folder. Unless there is code used in the form (requires publishing) or you use Exchange's organization forms library, a template is preferred. Note: if you use Outlook 2007, you need to show the Developer tab to see Publish. My own preference is storing the template in a .Templates folder. Using published forms for email can result in sending a wimnmail.dat file. See How to publish custom forms in Microsoft Outlook for screenshots and more information. If you save a copy to Drafts, you can copy the draft (select it, Ctrl+C, V) and use the copy or click Forward. While this is not the best method for reusing boiler plate messages, it works, especially for messages that will only be reused a few times, and many users do it. In addition to the methods listed above, there are other ways you can access your templates from within Outlook without going through the Forms menu and browsing for the template. Create a hyperlink on a toolbar button in Outlook 2003 and older. Use VBA to create a hyperlinked button in Outlook 2007 and 2010. Published December 29, 2003. Last updated on August 16, 2013. Do you have a page/website where you create a macro for launching a template but then it gives you the option to change variables within that template? I've gone through your youtube videos and your site but unfortunately cannot find exactly what I'm looking for. P.s. I'm loving your website btw. I have a sample macro here - http://www.slipstick.com/outlook/hyperlink-templates/ - in this case, the template is the variable, but the same method can be used to pass any variable to a macro. I might use bookmarks or the replace function to do what you want - use a unique keyword in the body and replace it with the variable, which can be collected in any number of ways, such as from a Contact, or entered into inputboxes. 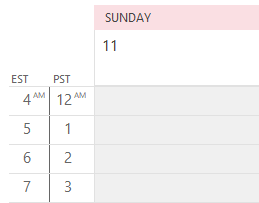 am creating a template in Outlook 2003 and want to include a shared email account in the "From" field. Everyone who will use the template will have access to the shared account. The template I have created is not saving the shared resource in the "From" field. Please help. We would prefer not to have to input this each time we would be using the template. You'll need to use code to set the shared address - if it was a separate account in your profile, there is a better chance it would save.